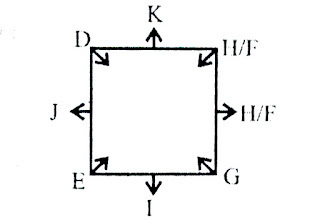 D, E, F, G, H, I, J and K are sitting around a square table in such a way that four of them sit at four corners of the square facing the centre while four others sit in the middle of each of the four sides but not facing the centre. D sits third to the right of I, who is not facing the center. 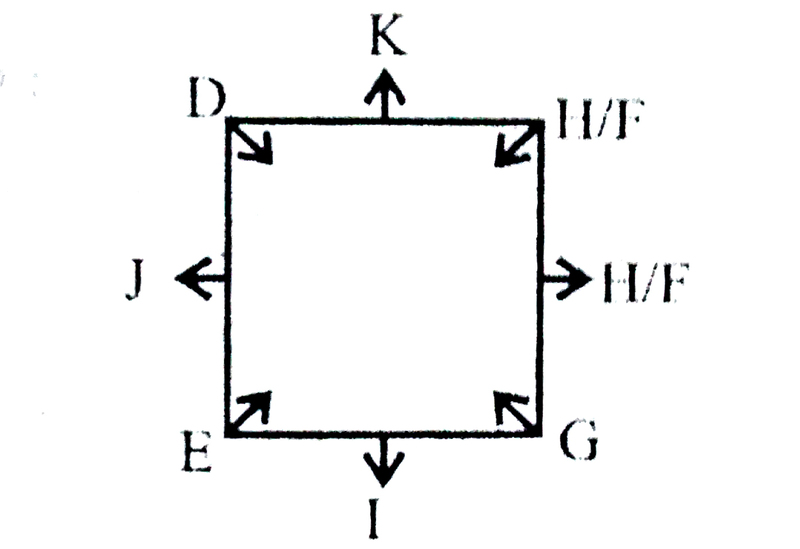 H is not an immediate neighbor of I or D. There is only one person between I and J. G sits second to the right of E, who is on the immediate left of J. F is not an immediate neighbor of D.
1). Who among the following sits opposite H? 2). What is the position of E with respect to K? is the one that does not belong to that group? 5). Who among the following sits exactly between J and K? 6). Which of these following statement is / are true? a) K sits fourth to the right of I.
b) H sits either on the immediate right of G or on the immediate right of K.
c) E is not facing the centre. d) Only a) and b) are true. G, H, I, J, K, L, M and N are sitting in a row facing north. M does not sit at the extreme ends of the row. L sits either sixth from the left end of the row or fourth from the right end of the row but sits fourth to the right of G. J sits second to the right of I, who is not an immediate neighbour of L. K and H are immediate neighbours of each other but neither of them sits at the extreme ends of the row. Only one person sits between K and M. I sits third to the left of H.
7). What is the position of H with respect to G? 8). If I is related to H and J is related to L in a certain way, which of the following would K be related to the following the same pattern? 9). Which of the following pairs sits at the extreme ends of the row? 10). How any persons are there between K and I? right and the person who sits fifth from the left end?